OLI, the Southern European leader in the production of cisterns, is committed to digital innovation and offers a BIM (Building Information Modelling) library. OLI plans to progressively expand their library and to continue to offer customers a wide range of Sanitary System solutions. OLI is committed to being at the forefront of development in the construction sector. BIM is the new standard of design and construction. BIM facilitates the transfer of information between stakeholders and enables integrated management throughout the product life cycle. With this methodology, OLI aims to boost the efficiency and creativity of construction projects through cooperative work with architects, engineers, contractors and owners, as well as reinforce its commitment to continuous innovation and the creation of a bathroom that doesn´t waste water, is safe and accessible for all. 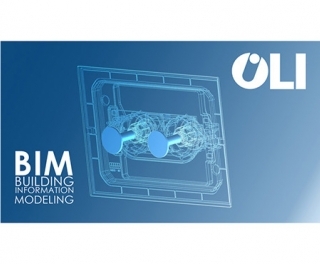 OLI provides BIM objects in both Graphisoft Archicad® and Autodesk Revit®, for various products of the brand, such as the “OLI74 Plus”, “Expert Plus” and “OLI120 Plus” concealed cisterns, as well as a wide range of control plates. OLI provides technical support to resolve any questions or concerns that may arise when downloading or using OLI BIM files.